Our online application is very user friendly. You will not need to type in account numbers (although you may) and can estimate loan payment amounts, bank account balances, etc. The application is broken down into sections and you can track your progress through each section at the top of each screen. It should take less than 20 minutes to complete the application. Move through the application by using the “previous” and “next” arrows at the bottom of each screen. If you need additional help answering a question, click on the Help button at the button at the bottom of each screen. If you don’t have time to complete the application once you’ve started, we’ll save the information you have completed When you’re ready to finish, return to the site and enter your email address and password to continue. If you can’t remember your password, just go back to the online application, and click on the “forgot your password?” link, enter in your email address and we will immediately email you your password. What if I don't know the exact values of some of my other assets? We need information about all the real estate you own to insure we have a reasonable estimate of your net worth and debt-to-income ratios. If you don’t know the exact value of your real estate holdings, provide your best guess. 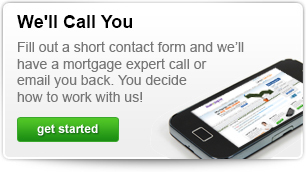 In most cases that is all we will need to process your new mortgage request. We’ll require a copy of the HUD-1 settlement statement on the sale of your current residence to verify that you’ve received sufficient funds for our closing. If the closing of your current home is scheduled for the same day as the closing of your new home, we’ll ask the closing agent on that transaction to provide us with the HUD-1 settlement statement once it has been signed by both seller(s) and buyer(s). If you’ll be withdrawing funds from a 401(K) or retirement account to fund your down payment, we’ll ask you to provide evidence that you have the funds available by providing a recent statement. Prior to closing we will also need to substantiate that you have liquidated the funds to be used. If repayment is required, we’ll consider that monthly payment as well when calculating your debt-to-income ratios. Gifts are an acceptable source of down payment, if the gift giver is related to you or your co-borrower. We’ll ask you for the name, address, and phone number of the gift giver, as well as the donor’s relationship to you. If your loan request is for more than 80% of the purchase price, we’ll need to verify that you have at least 5% of the purchase price in your own assets. Prior to closing, we’ll verify that the donor had the funds to give (typically thru the donor’s bank/asset account statement). In addition we will need to verify that the gift funds have been transferred to you by obtaining a copy of your bank receipt or deposit slip to verify that you have deposited the gift funds into your account. An installment debt is a loan that you make payments on, such as an auto loan, a student loan or a debt consolidation loan. We do not consider payments on other living expenses, such as insurance costs, utility bills, or medical bill payments. We’ll include any installment debts that have more than 10 months. We will pull this information from your credit report so you will not need to enter these debts into the online application. All student loans will be included in the loan application for qualifying. We will pull this information from your credit report so you will not need to enter these debts into the online application. Generally, a co-signed debt is considered when determining your qualifications for a mortgage. If the co-signed debt doesn’t affect your ability to obtain a new mortgage we’ll leave it at that. However, if it does make a difference, we can ignore the monthly payment of the co-signed debt if you can provide verification that the other person responsible for the debt has made the required payments, by obtaining copies of their cancelled checks for the last six months. We will ask for copies of your recent pension check stubs, or bank statement if your pension or retirement income is deposited directly in your bank account. income for life. This can usually be verified with a copy of your award letter. If you don’t have an award letter, we can contact the source of this income directly for verification. I have income from dividends and/or interest. What documents will I need to provide? Generally, two years personal tax returns are required to verify the amount of your dividend and/or interest income so that an average of the amounts you receive can be calculated. In addition, we will need to verify your ownership of the assets that generate the income using copies of statements from your financial institution, brokerage statements, stock certificates or Promissory Notes. Credit scores used for mortgage loan decisions range from approximately 300 to 850. Generally, the higher your credit score, the lower the risk that your payments won’t be paid as agreed. How will a past bankruptcy foreclosure or short sale affect my ability to obtain a new mortgage? If you’ve had a bankruptcy, foreclosure or short sale in the past, it may affect your ability to get a new mortgage. Unless the bankruptcy, foreclosure or short sale was caused by situations beyond your control, we will generally require that two to four years have passed since the bankruptcy or foreclosure. It is also important that you’ve re-established an acceptable credit history with new loans or credit cards. agencies and request that they block the reporting of the information that appears on your credit report as a result of identity theft. The law provides guidance to the credit reporting agencies on when to block and unblock such information. At Shoreline Mortgage we have worked tirelessly to create one the most efficient loan origination systems in the industry. * As a company offering mortgages via the Internet, our system eliminates the need for a loan broker and highly commissioned loan officer, the two highest cost components of a mortgage transaction. 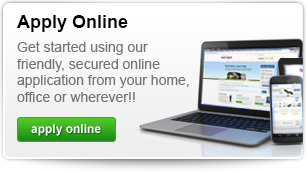 * We lend from a single location eliminating the cost of brick and mortar branches. There’s no cost or obligation for completing an online application. Upon submission of your online loan application, our team will move into action. No later than the end of the next business day, a Loan Advisor will contact you to introduce themselves and to answer any questions you may have. 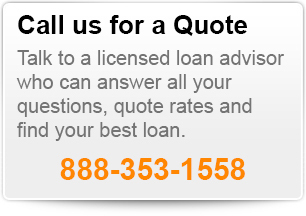 Your Loan Advisor is a mortgage expert and will provide help and guidance along the way. Depending on the strength of your application, we may even secure your approval that same day!! A complete set of application forms will be prepared inserting your personal information and transaction numbers. To expedite things as quickly as possible the application forms will be sent to you via email. The email will contain papers for you to sign and a checklist of items we’ll need to verify the information you provided about your finances during the on-line application. Typically this includes documents relating to your income and asset accounts like last year’s W-2 form, recent paycheck stub, and bank statement. That’s all there is to it! Apply Now you will be on your way to the most convenient home loan ever! You will be asked to support your income with a recent paystub and the prior year’s W-2 form. Self-employed borrowers will be asked to support their income with the prior one or two years’ tax returns. Funds needed to close the transaction will typically be supported with a copy of a recent bank statement. If proceeds from the sale of another property are being used for the down payment, an estimated closing statement on that transaction will be required prior to closing. Because everyone looks a little bit different on paper with respect to their income sources, asset accounts and credit history, a more complete checklist will be emailed to you once you complete the online application. At the time we are ready to draw your loan closing documents, if our posted rates are at least .25% lower than the rate you locked (for the same or less points, or the same or more rebate), you may float down your rate to the current rate plus an addon. On purchase transactions, in times of stable interest rates, most of our customers lock when they are within 30 days of closing. Locking for a period longer than 30 days increases the cost of the loan slightly but is sometimes a good idea if rates are volatile. If your closing is more than 30 days out, we recommend you compare rates and points with your loan advisor for 30, 45 and 60 day locks and make your decision accordingly. An escrow account, also known as an impound account, is an account set up at the time you close your loan for the payment of your property taxes and homeowner’s insurance. You pay 1/12 of your annual taxes and insurance along with your mortgage payment each month and the funds are placed in the escrow/impound account. Your loan servicer pays your taxes and insurance out of the escrow/impound account when they come due. You receive an Escrow/Impound Analysis Statement each year, showing the activity and balance remaining in the account. You are not required to have an escrow/impound account unless the Loan-to-Value ratio on your loan is over 80%. However, if you decide not to have an escrow/impound account, your closing costs may be slightly higher. At Shoreline Mortgage, we fully disclose all closing costs and prepaids. Guaranteed Lender Fee: We charge one all-inclusive Guaranteed Lender Fee also known as “Origination Charge” , which includes processing, underwriting, doc prep, funding and wire transfer fee. 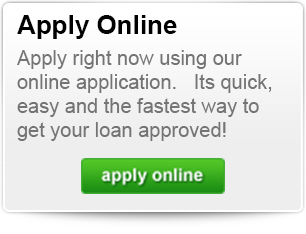 This is guaranteed at time of your loan application. Guaranteed Discount Points OR Guaranteed Rebate: You may elect to pay discount points to buy down your interest rate. Or you may choose a slightly higher rate and obtain a rebate to offset some or all of your closing costs. This is guaranteed at time of your rate lock and depends on your choice of interest rate. Guaranteed Appraisal Fee: Your appraisal fee is collected in advance on a credit card. The funds are used to pay for your appraisal, a service performed by an independent third party. Appraisal fees are guaranteed on both purchase and refinance transactions. Guaranteed Government Recording Charges: The county recorder’s office will charge a recording fee to record your new mortgage or deed of trust.Guaranteed Government Transfer Taxes: Some states, counties and cities charge a transfer tax (also known as a Mortgage Tax or Tax Stamps) when you purchase a property or refinance a mortgage. Government transfer taxes are guaranteed and per government requirements are based on loan amount. That said, they will only change if the loan amount changes. Closing Agent and Title Insurance: Closing agent (or attorney) and title insurance fees are guaranteed if you use the national service provider we contract with to provide these services in your state. You will notice that these fees are extremely competitive due to the high volume of business that we provide to these service providers. If your loan is a purchase transaction, your first year’s homeowner’s insurance premium will be collected at closing and paid to your insurance company. Each discount point is equal to one percent of the loan amount. Discount points are paid to obtain a lower rate. Whether you should pay discount points depends on your tax situation and how long you expect to be in the property. To calculate how many months it roughly takes to “break even” on the amount paid for points, divide the difference in points ($dollar amount in cost) by the difference in monthly payment. A rebate is a credit to the borrower by the lender for taking an interest rate higher than the zero point rate. The lender hopes to recapture the amount paid by collecting a higher interest rate over the life of the loan. Rebates may be used to offset any non-recurring closing costs, including the guaranteed lender fee, appraisal, closing agent, title insurance, recording and/or transfer taxes. Rebates may not be used to offset prepaid expenses, such as prepaid interest, initial escrow/impound account deposit or homeowner’s insurance premium. Yes…you can pay off your mortgage any time in whole or in part with no additional charges. You will receive an email and phone call from your Loan advisor/Loan processor no later than the end of the next business day after applying. If you need contact sooner, just pick up the phone and call us. Our system is designed to deliver the very best rates and fees available to qualified borrowers. Our loans are underwritten by an automated underwriting system and, in most cases, FICO scores below 620 on conventional loans will not be approved by our system. On FHA loans, credit scores can be as low as 580. Yes, it’s important to know how much you qualify for before you begin your home search. Complete our online application anytime, 24/7. Our Pre-Approvals are free of charge and no advance deposit is required. 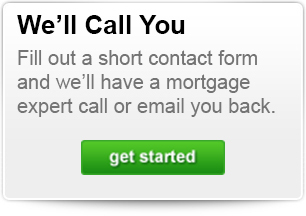 You are under no obligation to obtain a mortgage from our company. We offer loan programs with as little as 3.5% down payment (3% if purchasing a Fannie Mae or Freddie Mac foreclosure through our HomePath program or HomeSteps program). However, significant savings may be achieved with a down payment of 10% or 20% so we encourage you to look at multiple loan scenarios if you can afford a greater down payment. Maximum debt-to-income ratios are determined by an automated underwriting system that takes many factors into consideration, including your credit score, loan-to-value ratio and cash reserves. As a general guide conventional loans can be approved thru our underwriting engine up to a maximum of 50% debt to income ratio. On jumbo loans, the maximum debt to income ratio is slightly lower. Can Shoreline Mortgage finance the purchase of a property through a short sale? A super conforming loan is a temporary loan category that was created by the Economic Stimulus Act of 2008. The Act allows Fannie Mae and Freddie Mac to purchase mortgages in “high cost” housing markets. These “Super Conforming” limits are set equal to 115 percent of local median house prices up to a current maximum as of 1/01/2018 of $679,650 (higher limits permitted for 2-4 unit properties and properties located in Alaska, Guam, Hawaii and the US Virgin Islands). description and estimate of the value of a property. National standards govern not only the format for the appraisal; they also specify the appraiser’s qualifications and credentials. In addition, most states now have licensing requirements for appraisers evaluating properties located within their states. The appraiser will create a written report for us and you’ll be given a copy as soon as we secure it. The report will compare the qualities of your home with other homes that have sold recently in the same neighborhood. These homes are called “comparables” and play a significant role in the appraisal process. Using industry guidelines, the appraiser will try to weigh the major components of these properties (i.e., design, square footage, number of rooms, lot size, age, etc.) to the components of your home to come up with an estimated value of your home. The appraiser adjusts the price of each comparable sale (up or down) depending on how it compares (better or worse) with your property. If your home is for investment purposes, or is a multi-unit home, the appraiser will also consider the rental income that will be generated by the property to help determine the value. Appraisal cost varies depending on such things as type of property, the number of units and if rental property schedules are required. The typical single family appraisal is approximately $425 The appraisal fee is collected by credit card at the time we order the property appraisal. You can use Visa, MasterCard, American Express, Discover or a debit card. Generally, it takes 5-7 days before the written report is sent to us. If you are refinancing, the appraiser will contact you to schedule a viewing appointment. If you don’t hear from the appraiser within three days of the order date, please inform your Loan Processor. If you are purchasing a new home, the appraiser will contact your real estate agent, if you are using one, or the seller to schedule an appointment to view the home. Unfortunately not as quality control procedures prohibit us from using any appraisal not ordered directly by us from a licensed appraiser located in the area of the property. We use an appraisal management company to make sure that the assigned appraiser prioritizes our work and will complete the assignment quickly. As soon as we receive your appraisal, we’ll update your loan with the value of the home. As a standard practice we will provide a copy of your appraisal as soon as we receive it. In addition, in most cases an HOA certification is required and must be completed by your HOA. The certification must meet underwriting guidelines. There may be a fee assessed by your HOA, which you will send directly to the HOA for completion of the certification. On a purchase transaction, the closing will take place at the office of your closing agent, attorney or title company. The Internet, email, fax machines and overnight mail services have eliminated the need for proximity to process and close a loan. On a purchase transaction, we work with the closing agent or attorney you and the seller have selected. We wire transfer your loan funds to your closing agent or attorney prior to closing so that they’ll have plenty of time to prepare for your closing. By law, you have the right to select your own provider for these services. Certain providers used regularly by us have agreed to an extremely competitive fee schedule. If you wish to use a different provider and agree to pay the fees charged by them, we will be happy to work with them. If you won’t be able to attend the loan closing, contact your Loan Processor to discuss other options. If someone you trust is able to attend on your behalf, you may be able to execute a Power of Attorney so that this person can sign documents on your behalf. In other cases, we’re able to overnight you the documents in advance so that you can sign them and forward them to the closing agent. We’re sure to have a solution that will work in your circumstances. Loans may be closed in the name of a Trust as long as the trust meets certain requirements. 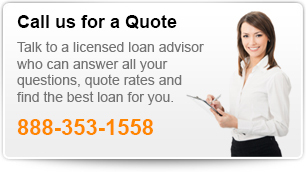 Talk to your Loan Advisor for more details. Loans may not be closed in the name of an LLC. If the title of your home is vested in an LLC, the title must be changed at or prior to closing on the loan. On a purchase transaction we will typically close and fund the loan on the same day. . Yes, you will have the ability to set up a direct debit to make your monthly payment. Upon receiving notification regarding the final servicer for your loan, you can contact the toll-free number provided to set up your direct debit. Most of our servicers allow you to set up bi-weekly payments. However, you should seriously weigh the merits of this program before setting it up. A bi-weekly payment program pays off the mortgage early by making 13 payments each year (52 weeks in a year divided by 2 equals 26 half-payments or 13 full payments). By simply paying an extra 1/12 of a payment each month, you will pay your mortgage off faster and avoid any administration fees associated with a biweekly payment program. As long as is no monthly fees for administration of the bi-weekly program, it is an excellent way to pay the loan off quicker.